777. This was bought as a 19th century French Empire pocket watch holder, however, I am not too sure of its age. I have therefore placed it in the “SALE” area. H. 12in(30cm). 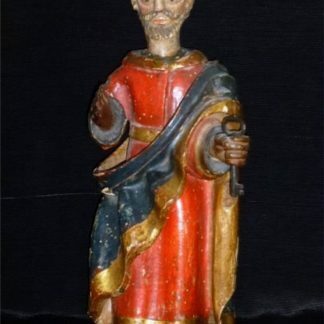 Early 19th century carving of St. Peter.